Add cereal, fruits and dried fruits to the slow cooker. Add melted butter, maple syrup, sugar and spice mix. Use a spatula to combine everything, being careful not to crush the cereal. Cook on low temperature for 1 hour; stir every 15 minutes so it doesn’t stick to the bottom. Remove from heat and let cool completely. You can store in a tightly sealed container for 4 to 5 days. 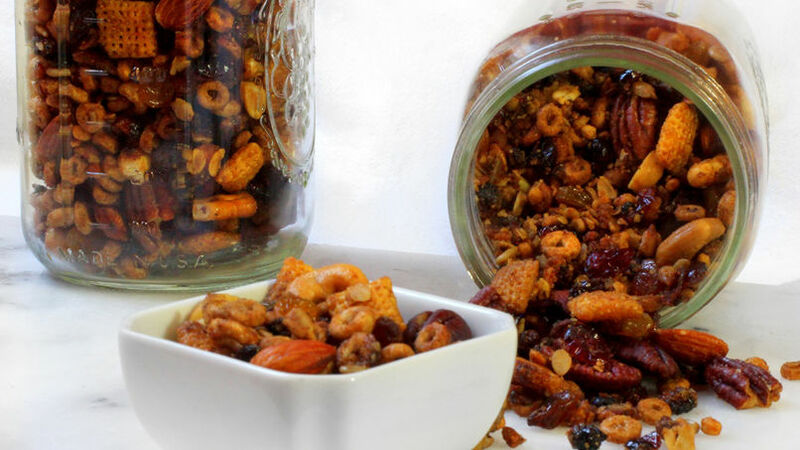 You can add other flavors such as dried cherries, dried pineapples or apples. This tasty combination of Cheerios™ with dried fruits makes the perfect snack for kids or to serve it when we’re all enjoying a nice movie as a family. It’s very easy to make and all you need is that slow cooker that you probably already own and can now put to great use. Try this recipe today!